Besides fish, seafood also contains of high protein. However, seafood also contains of high fat and another kind of nutrients which are not so good for some people’s health. Moreover, there is an allergen in seafood as the reason why some people getting an allergy to seafood. Still, seafood becomes one of the most delicious food. One of them is lobster which has a unique taste and easy to cook. Mostly in restaurant serve at least one menu for lobster especially for dinner time. If you want to cook it by yourself at home, so you can buy the fresh or frozen one. What does make them different? Which should I buy? Here are sort guidance for buying whether fresh or frozen lobster. Basically, you do not need to find the lobster which has red color since mostly it has non-red color before it is cooked. Typically, there is a blue, yellow, and greyish color which are a common color for fresh alive lobster. However, you can choose the lobster which has a shiny surface on the body. If there is black holes or marks on its shells, so it means that the lobster is old. You can also indicate the fresh lobster by its claw. For the lobster which has stored longer in the tank, its claw becomes weak and shrink. In contrast, the fresh lobster will put a fight and its claw and tail will be raised up. If you found the lobster has droopy claws ad curled tail and body, so you have to avoid it since it means that the lobster is old or have been stored longer. You can also consider the size of lobster when buying it. You need to choose the meaty one. At least, you have 1 1/3 cups of meat for each 1 ½ lb of lobster. You can measure it from its carapace which is the length between the tail and eye socket. The smaller carapace tends to have more meat. Although there is no difference in flavor for male and female lobster, there is the different meaty side from both. Typically, the male lobster tends to have big claws while the female lobster tends to have more meat on the tails. Then, the female lobster is soft while the male lobster is stiff and thick. So, you can check those three categories while buying the lobster. To get the high quality lobster which has a meaty part, you need to concern on where you bought it. Shop, market or even supplier can be the best choice as long as one of them is the recommended one. In that case, you need to find the best shop, market or supplier of lobster. The first thing that should be checked is the packaging. 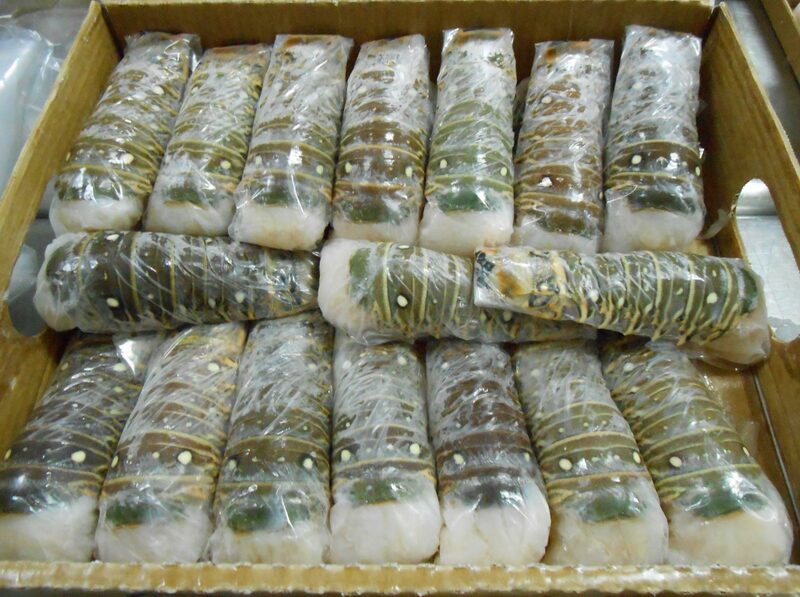 The well-handling frozen lobster is which has well-wrapping lobster. Then, the frozen one also needs to have perfect packaging to avoid some contamination. Make sure that there is no torn part or the discoloration spots on the lobster. As it is so, it means that frozen lobster has no good quality. Inside of the packaging of frozen food, we usually find the liquid. To check it is still fresh or not, you can check on it. You have to choose the frozen lobster which is fully frozen without any liquid inside of the packaging. You need to avoid the lobster which has a liquid the packaging since it means the old one. Different from fresh lobster, sometimes you can find the expired date. You need to check carefully whether there is an expired date or not. You have to make sure that the expired date of the frozen lobster is the shorter one. Which is better, frozen or fresh lobster? Actually, both of them is the best one as long as the lobster was handling carefully in the right way. You cannot choose the fresh lobster that has been mishandling, so do the frozen lobster. You can find the best quality of frozen or fresh lobster in a different way.